There were just 288 Springtime in Sweden or "SiS" models produced. They were gifts to Saab's 288 US dealers. 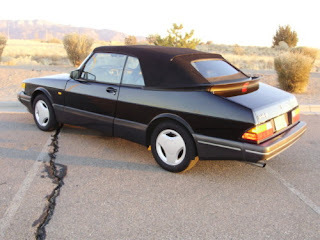 Each SiS car was painted black, had a buffalo grey leather interior and a black convertible top. Each came with a special plaque on the dashboard. All were turbos. 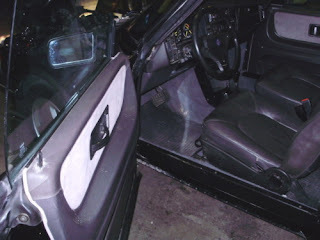 284 had a 5 speed manual transmission. 4 came with an automatic. It's that last sentence that makes this car very interesting... It's an automatic. 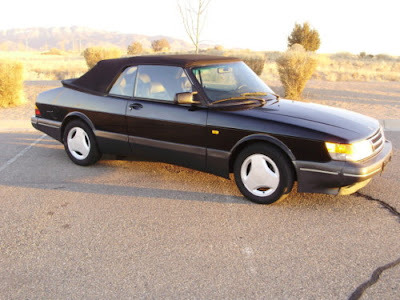 The classic Saab 900 was notorious for having bad automatic transmissions. This car had its transmission replaced about 40,000 miles ago. I know that an automatic is not the first choice of transmissions for most car enthusiasts, but, hey, this is only one of four to come this way. Assuming it's a real SiS (and there are supposedly some counterfeits out there), that's got to mean something to someone.